Every year around this time retailers prepare for a price war that will impact the nation. This year, battle lines have already been drawn and strategic tactics designed to fortify market share and to protect corporate profits are well underway. The stakes are high and the rewards are substantial. With the average holiday shopper planning to spend a total of $804 this season, 2014 holiday sales are expected to increase by 4.1% to a total of $615B. Survival requires strength, perseverance, and most importantly, an unwavering commitment to customer experience. Those defeated will be left with devastating Q4 profits along with eroded consumer confidence in their brand. Tying your holiday pricing strategy to your organization’s priorities and long-term goals will position your company for a profitable holiday season. Whether your goals are to increase gross margin, build market share, drive demand, etc., your pricing strategy should be tailored to support your strategic goals and your objectives around customer experience and customer loyalty. As many predicted, consumers are increasingly becoming sensitive to the aggressive nature of holiday promotions. In a study conducted by Oxford University, hyper-increased promotions and discounts send mixed signals and are likely to reduce overall sales for retailers who engage in this practice. Further, according to the National Retail Federation (NRF) 74% of consumers are not completely motivated by steep discounts during the holiday season. Instead, most are willing to pay higher prices for a better customer service experience. This is great news for retailers who are interested in avoiding the battle fields this year. Consider a fresh approach this holiday season. If your customers are motivated more by service and quality, try differentiating your brand by providing a seamless and unforgettable customer experience. Instead of reacting every time a competitor makes a price change, respond instead by providing additional value and engaging more with your customers. The result will be an elevated level of confidence in your brand and in your price-value proposition. Big data. These two words have dominated headlines in recent years, propelling data scientists into rock-star status in terms of popularity. More than being a modern day fad, big data has enriched many in the retail industry with invaluable insight into consumer behavior. If used correctly, this insight can benefit retailers this season by improving the accuracy of holiday pricing and running more strategically planned promotions. An important first step that all retailers should consider is how price changes from previous years have affected the price sensitivity of its customers. This data is captured in consumer surveys and should play a pivotal role when deciding the frequency of promotions and discounts this season. By diving into this level of insight, a retailer can remain focused on providing an enriched customer experience while earning customer loyalty in return. Further, with historic data, a retailer can improve the accuracy behind calculating shipping cost and delivery date estimations. According to the NRF, consumers ranked free shipping as an important factor when shopping for the holidays this year (4.2% on a 5-point scale). Additionally they found that 50% of online shoppers have abandoned their shopping carts in previous years when either a lengthy delivery date or no delivery date estimation was listed. By using data to better predict delivery dates you will be improving the online shopping experience of your customers, thus improving sales and profits as a result. Gaining access to this type of data will play an instrumental role in your ability to maintain a competitive edge this holiday season. Dynamic pricing is increasingly becoming the standard for retailers. With prices changing rapidly and frequently during the life-cycle of a promotion, it is important to maintain consistency across all channels. In a study conducted by IBM, it was found that 60% of consumers rate consistent pricing across channels among the most important factors when choosing a retailer. By remaining steady and strategic this holiday season you will improve your chances of offering a consistent experience across channels. By doing so, you will safeguard your customers from becoming confused and disoriented and you will undoubtedly strengthen their loyalty to your brand. Remove any uncertainty of what qualifies for price matching this season by clearly outlining and providing examples of your criteria on price matching. Imagine the following scenario. A loyal customer fights the crowds and waits in line to purchase a product before finding out that the advertisement they provided doesn’t qualify for price matching because it’s a national ad and not local. What they didn’t understand coming into your store was how a national ad differs from a local ad primarily because the company has both a national and local presence. With feelings of anger, confusion, and humiliation taking form, your customer is less likely to remain loyal to your brand. It’s simple. Protect your previous investments in building customer loyalty by being as transparent as possible in your marketing. In closing, surviving this year’s price war requires discipline and a steady hand. By not engaging with competitors this season, you will have more time to engage with your customers and consequently a higher chance of ending Q4 with profitable earnings. 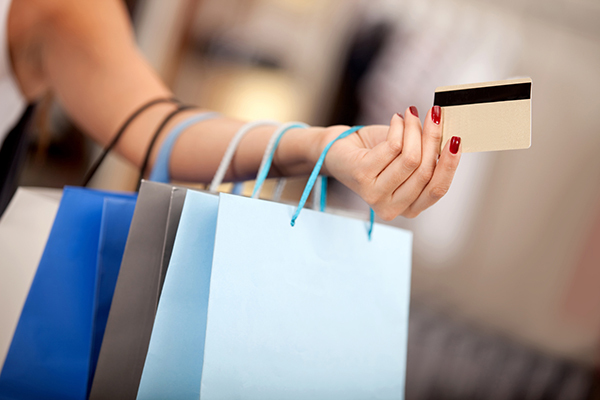 By offering a consistent and enjoyable shopping experience, your rewards will be noticeable beyond Q4. If your goal is to build customer loyalty then show your commitment to loyalty by creating an unforgettable customer experience this season void of confusion and chaos.